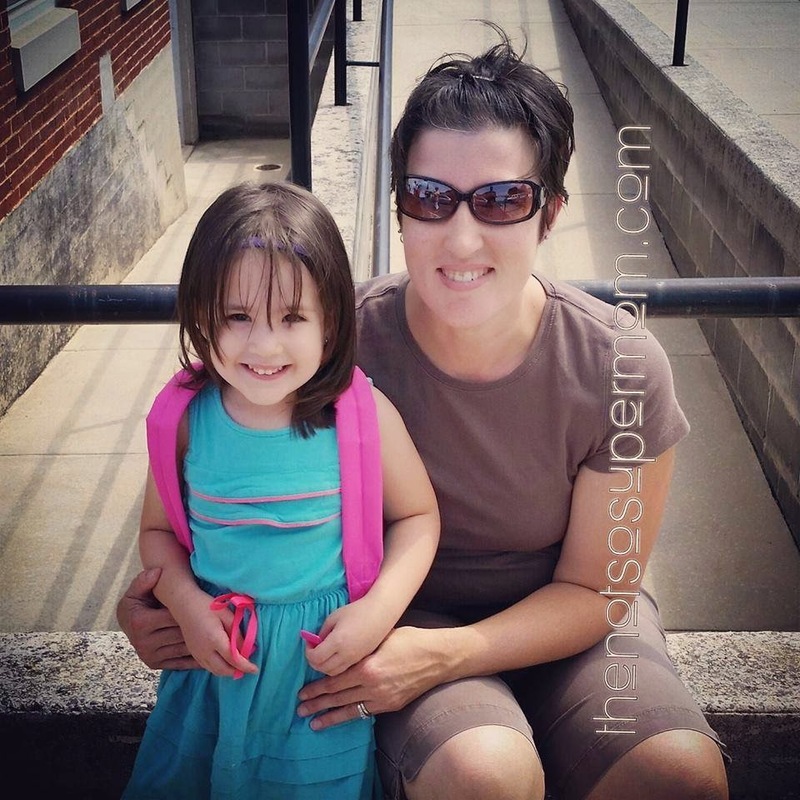 So Moms, stay out of the red this school year! myCharge is here to keep you charged and connected! For more information on products visit the myCharge website or follow them on Facebook. You can find myCharge products available at retailers such as Target and Kohl's. Fill out the entry form below September 15, 2014 - October 15, 2014 for your chance to be one of 40 winners to receive an Energy Shot Charger (10 winners randomly selected each week) and one of 3 grand prize winners randomly selected on October 15, 2014 to receive one iPad Mini with a myCharge HUB 6000 portable charger. Entrants must be at least 18 years of age or older, must live in the United States and have a valid shipping address. See giveaway form for complete list of rules and details. a Rafflecopter giveaway This is a sponsored post from myCharge. I started this blog oh so long ago, just as a place to vent my feelings about a certain little lady coming into our world that I wasn't entirely rolling out the welcome wagon for. 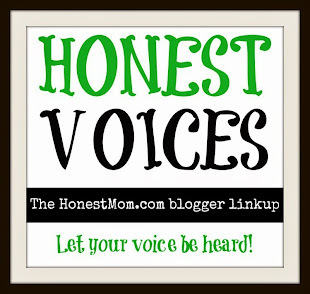 I originally called my blog Confessions of a (Not-so-) Super Mom--because what mom wants to admit (outside of "confession") that they are absolutely NOT wanting to be a mom again? I felt like the bane of all that is sacred and saintly about Motherhood. I have been writing ever since I can remember. I used to think that I would write something cool one day, like Stephen King-ish-freaky-cool stuff, but that never happened. Somewhere along the line I realized that I didn't want or need to make up stories, I just wanted to be able to tell my own. But even that was tucked away, save several old notebooks chock full of poetic angst and a few scribbly napkins thrown in for most-likely-half-toasted-at-the-bar-spur-of-the-moment good measure. Then life. First comes love, then comes marriage, then comes a job (or two), a kid (or two), a pound (or twenty) and life is just rolling along like a subway train--flashing by stations you didn't even know were coming until your heads whips around and they're gone. And you're there still trying to read the signs. Then things slow down and you've found a rhythm--you're swaying a little but holding steady on the strap--and sometimes it's bumpy and sometimes the car swings a bit wildly on the tracks but you recover. And then when things seem the smoothest, when you think you've got it down--THIS is your life--you step off the train to discover that you're at the wrong station. Maybe you think you can figure out where to go from here, but that doesn't make you any less pissed or panicked. So this is the tipping point, now I start the blog. Why I don't want to be pregnant again, why I'm not happy to be a party of five, why I'm a crappy mom to feel all that. The NotsoSuperMom. That's me. The problem, or so I thought, was that I wasn't writing anything special. I mean, some women have awesome (and not like: dude, awesome!, but like, awe-inspiring) stories about their lives, their families, their children. I have felt from time to time, that it never matters that I write because not that many people are reading (i.e. who cares? 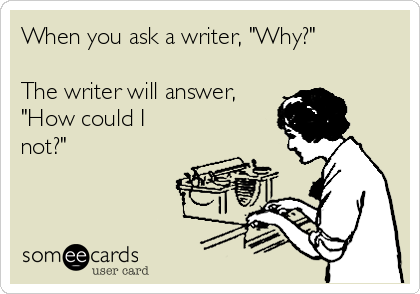 ), but the flip side to that--the freedom--is that that can be exactly why TO write because, WHO CARES? So I trudge along. I will admit, as a blogger, the social media can be draining but it's hard (for me, at least) to let it go. You want to show your stuff, you want to share and be shared, and you want to just BE a part of something so much larger than your teeny tiny Who-speck of the blogosphere. 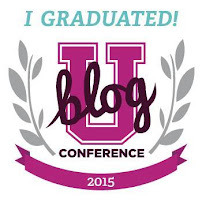 My blog will be 4 years old next month. Four years is a long time to do many things. Some days I feel like I'm getting less "Super" by the minute. Other days I feel like I hit one out of the park. But the best days of all are the ones where you realize that you are someone that someone out there might care about. And when I thought about my little girl, my last baby, being someone, it made me feel bigger (in a good way) and made me feel important. Truthfully I don't need to keep this up. I might still write (even if I didn't do it here), and I would miss this painfully sometimes, but I would be busy enough without it. I would regret giving it up but by then it would feel pointless to look back at what wasn't there. I am someone. I have a story. Not the most interesting. Not the funniest. Not the most popular. Just mine. MINE. And that's the best thing I will ever have. My own story. To share. To tell. To relate. 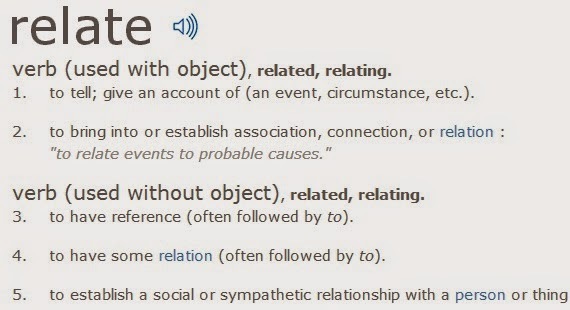 I love that word, relate. It encompasses several different meanings: I can relate my story, and you can relate to it. It brings us together. You will know me a little, and the longer you are here, the more you may learn. And of course I will never know you--not even a little--but if you stay, you read, you relate; on some level I will know you are there.